Blazing musicality and effortless charisma: American violinist Joshua Bell is one of the world’s pre-eminent musicians. Despite what his famously youthful looks might suggest, he has thrilled and charmed audiences across the globe for decades, with an ever-broadening repertoire that reaches way back to the Baroque of Bach and Vivaldi, and forward to the newest sounds of today. Bell has a very special three-concert residency at International Festival 2017, and in it he reveals three distinctive sides to his musical personality. As a virtuoso soloist, he gives a recital in The Queen’s Hall on 21 August with piano partner Dénes Várjon, featuring the athletic abandon of Brahms’s Third Violin Sonata. As an eminent chamber musician, he closes The Queen’s Hall’s recitals on 26 August joining Várjon and cellist Steven Isserlis in lyrical piano trios by Mendelssohn and Brahms. In between, he directs the Academy of St Martin in the Fields for a concert in the Usher Hall on 24 August. Bell has been the Academy’s Music Director since 2011, and has injected a new sense of vigour into the orchestra’s already stylish sound, both as concerto soloist and Director. Superstar US violinist and Academy of St Martin in the Fields in two bracing musical visions of wide open spaces and the wonders of nature. The celebrated US violinist is joined by exceptional Hungarian pianist for the recital of work by Mendelssohn, Brahms and Grieg. Three of today’s most admired musicians bring the 2017 Queen’s Hall concerts to a touchingly Romantic close with chamber music by Schumann, Brahms and Mendelssohn. 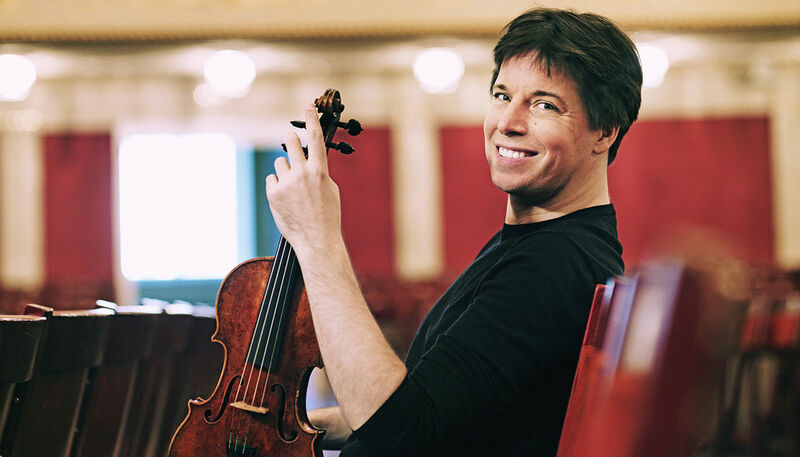 Joshua Bell will play three concerts at the 2017 International Festival, and you can book your tickets now: Joshua Bell plays Bruch on 24 Aug in the Usher Hall, Joshua Bell & Dénes Várjon on 21 August and Joshua Bell, Steven Isserlis & Dénes Várjon on 26 August in The Queen’s Hall.